In the middle of the 12th century, the Military Order of the Knights Templar built a fine round church by the Thames, which became known as the Temple Church. Two centuries later, after the abolition of the Order in 1312, lawyers came to occupy the Temple site and buildings. They formed themselves into two societies, the Inner Temple and Middle Temple, first mentioned by name in a manuscript yearbook of 1388. The area on the western edge of the site, known as the Outer Temple, may for a brief period have housed a separate legal society. 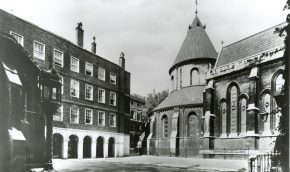 The medieval Inns of Court, which included Lincoln's Inn and Gray's Inn as well as the Inner Temple and Middle Temple, were organised on the same basis as the colleges at Oxford and Cambridge Universities, offering accommodation to practitioners of the law and their students and facilities for education and dining. The term 'Inns of Court' was adoptedin the fifteenth century to denote the town-houses or communities of those associated with the law courts. By the end of the 16th century, the Inns had largely developed into their present form, governed by an elected Treasurer and a parliament of Benchers, administered by a salaried Sub-Treasurer and his staff. In connection with their educational routine the Inns developed a graduation system, and since Tudor times the degree of barrister has been a necessary qualification for practice at the Bar of England and Wales. The higher degree was that of Reader, which was formerly the qualification for becoming a Bencher, or Master of the Bench. The Benchers, elected from among the judiciary and more senior barristers, now form the governing bodies of the Inns. 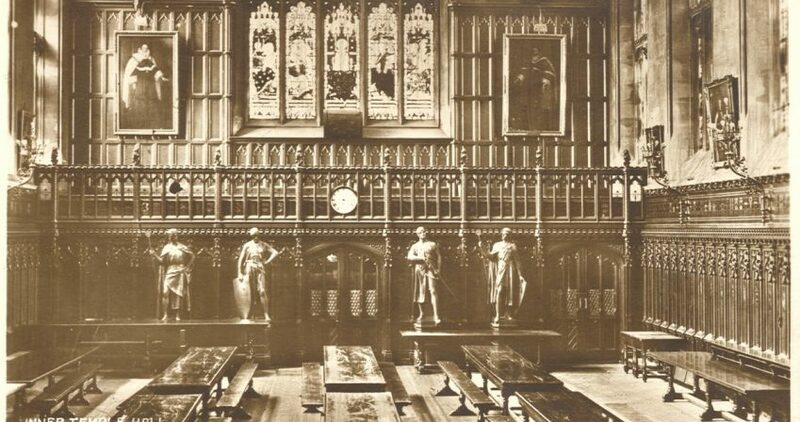 The Inns of Court, which taught English Common Law, developed the three levels of membership still in use today: Masters of the Bench (or Benchers), elected from amongst the eminent members of the profession; barristers, qualified to practise on Call to the Bar following pupillage; and Bar students. The Inns also elect Honorary Benchers, Academic Benchers and Royal Benchers. 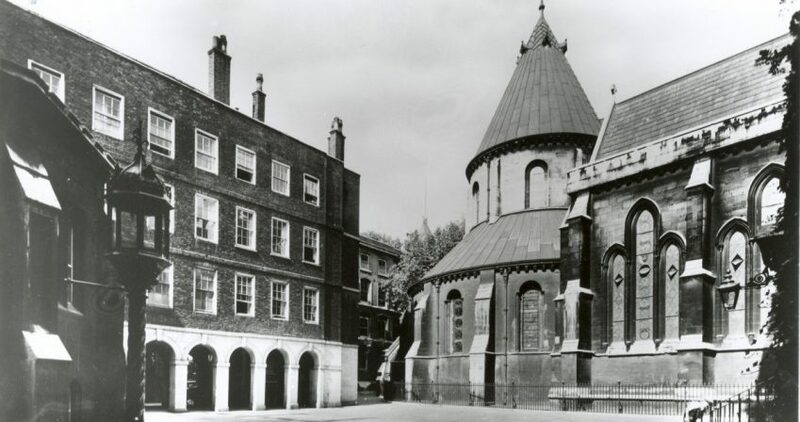 The 16th century was an age of expansion for the Inner Temple and new buildings were constructed to accommodate its growing membership, although not all the students joining at this time intended to pursue a legal career. The Great Fire of London of 1666 destroyed many of the Inner Temple buildings and a series of subsequent fires and 20th century war damage were responsible for further losses. 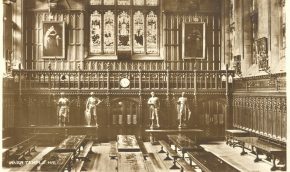 The Hall, Treasury Office, Benchers' Rooms and Library were all reconstructed after World War II. However, the best preserved chambers buildings in the Inner Temple, which date from the 17th century, can be found in the fine terrace at the east end of the site, known as King's Bench Walk after the King's Bench Office which was based there until the 19th century.